That Elf Is So Outta Here! 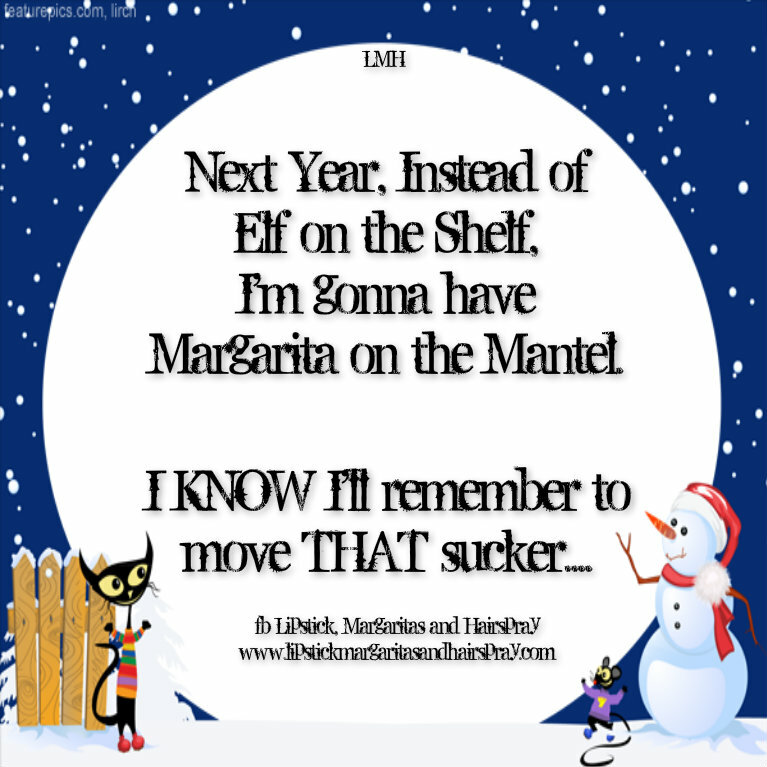 That damn Elf on the Shelf ~ I DID remember to move him almost every night this year. But our Elf (no name…we don’t name things in our house) didn’t do any fancy, messy, crazy or creative things over night. He barely got moved from one side of the room to the other. The closest he came to doing anything unusual was when he fell out of the lamp shade and landed behind the couch. THAT was weird because no one could see the little snot. When we finally found him, I had to do some fancy footwork to move him to another spot, and make up a quick story about how he must have JUST flown in. 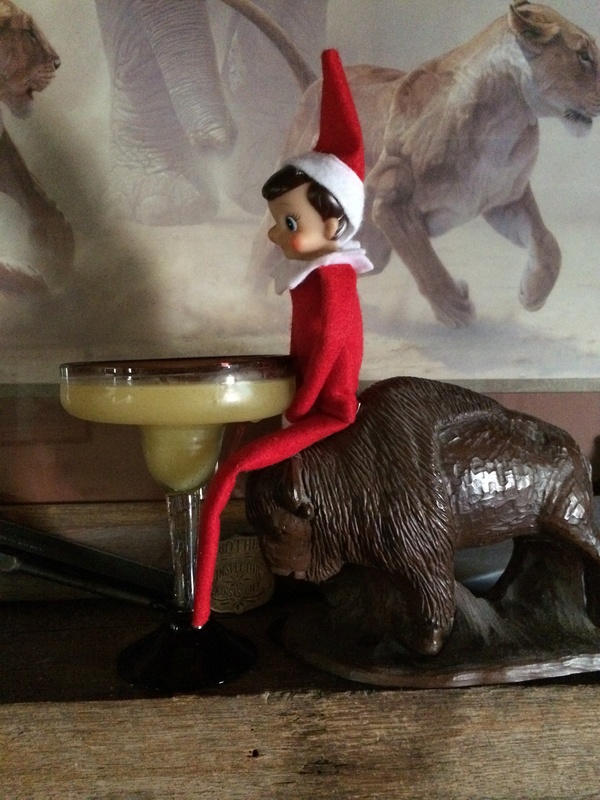 So, next year, I’m thinking we might just skip Elf on the Shelf, and go with “Margarita on the Mantel” instead. I KNOW for a fact that I’d move THAT every night. Heck, I might even move TWO. And just because I like a list, here’s a few ideas for y’all if you’re tired of the creepy little guy……. 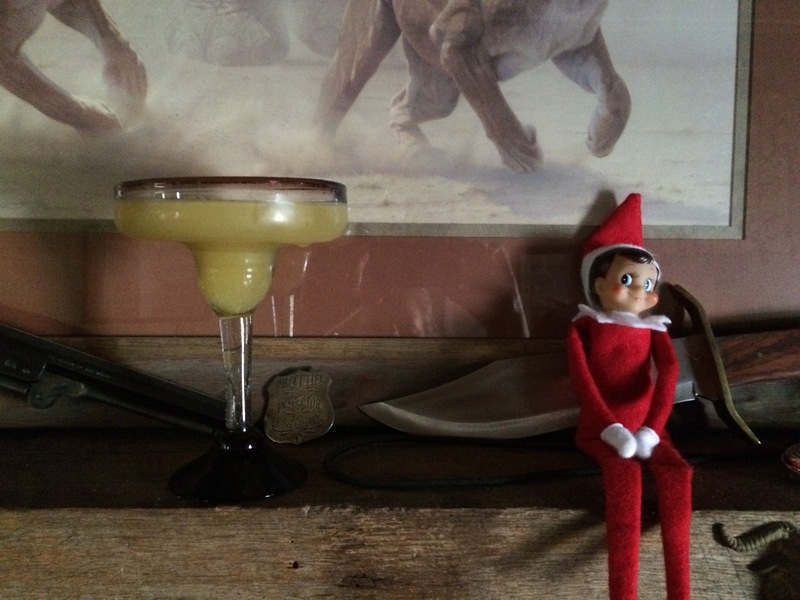 I might have said this out loud, when our Creepy Little Elf was listening….I set my Margarita on the Mantel to see how it looked up there and, really ~ it was perfect. Of course, I caught the sneaky little SOB trying to take a sip. Needs a little more tequila….. He is so outta here…..
Next My Morning Routine isn’t quite like this…. I am so glad this elf came out after my kids were too old for it! So glad I’m past that point. No kids at home. Woo hoo!!! don’t forget Vodka in the Vestibule, yanno, if your’e a hoighty toighty kinda person. or libations in the laundry room… cuz doing laundry always makes me wanna drink. You are sooooo funny. PS… I think he is creepy also.